Not surprisingly, Rapha put together a special edition kit to commemorate Team Sky’s triumph in this year’s Tour de France – which the British team proudly donned during yesterday’s closing stage. 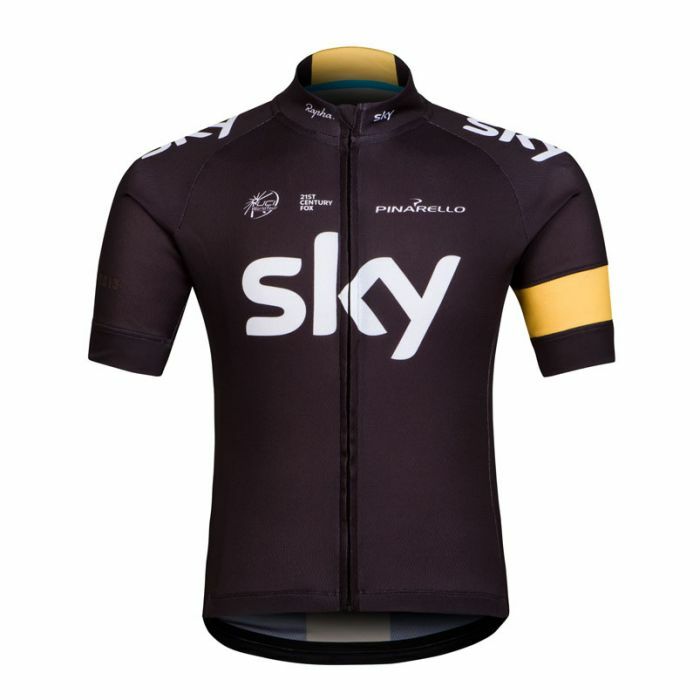 The obvious changes were, the shedding of Sky’s usual blue stripe in favor of yellow, in celebration of Chris Froome’s capturing of the maillot jaune – complete with the team’s signature armband and neck lining, emblazoned in yellow, along with the same treatment on the leg of the bib shorts. In addition, the script “Courage Cyclistes” in yellow was added to the base layer, while black gloves and socks round out the kit with similar embellishments. It remains to be seen of Rapha will actually release the kit to consumers, but on the chance that they do, be on the lookout for hurling saliva and sucker-punches.